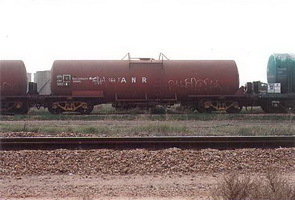 54 000 litre water tank wagons, constructed by Comeng, Western Australia in 1975. Allocated road numbers 3180 through 3194. 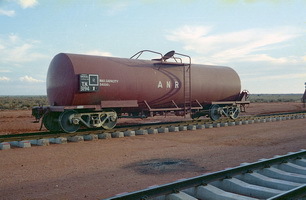 54 000 litre water tank wagon, constructed by Comeng, Western Australia. 1975 Entered service as "TN" water tank wagon. - To "ATWF" water tank, capacity 54 000 litres. 9.2005 Tender called for disposal ex Port Pirie.